Wherever you are on Arran, you will be surrounded on all sides by beautiful scenery, wildlife and history. 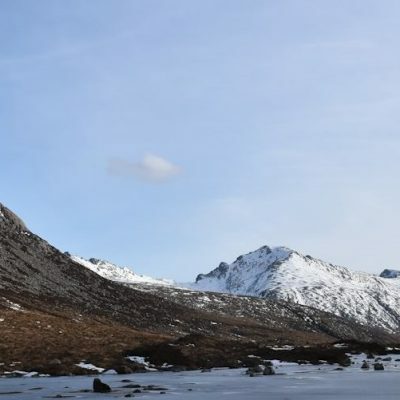 Often referred to as Scotland in Miniature, Arran boasts dramatic mountain peaks, lochs and waterfalls, bronze-age stone circles, ancient castles and beautiful seascapes. The island and its surrounding water is home to some of Scotland’s finest wildlife. Red deer, seals and red squirrels are an almost daily sight and as you travel around you may be lucky enough to catch a glimpse of dolphins, otters, basking sharks and golden eagles. You will never be bored on Arran with a wide range of activities to enjoy. Whether you are interested in learning about the local history and sampling the local produce such as Arran Whisky, Arran cheese or Arran Aromatics, or you prefer to explore the forests, beaches and mountains on bike or horseback, there really is something for everyone.